Science apps are becoming more popular because we can use them to illustrate volatile chemical reactions, to look at molecular structures or even find constellations not visible to the human eye. These are the science apps that I have on my iPad that I use all the time - sometimes just to show off what the iPad is capable of. Have a looks to see if any of these apps fit in with what you are doing in your science classes. If you think you've seen the periodic table, think again. The Elements: A Visual Exploration lets you experience the beauty and fascination of the building blocks of our universe in a way you've never seen before. This is the US English version of The Elements. Fully translated versions are also available in French, German, Japanese, and British English. This 3D Solar System model enables you to navigate through space and time, observe all the planets in close-up, learn their trajectories, inner structure, history of their exploration, points of interest and more. 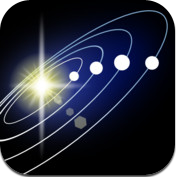 Use 3D mode to get a more realistic experience and zoom out to view and spin the entire Galaxy! 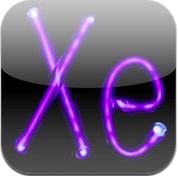 Enhanced for iOS 5 with the ability of the iPad 2 and iPhone 4S to wirelessly mirror its screen to an Apple TV 2. 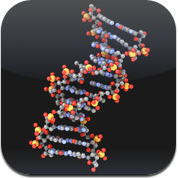 This iPad app is suitable for students who are learning about the organ systems in their life science curriculum. Students can try dissecting a virtual specimen with all the trappings that come with the real procedure-minus the mess of course! Besides a virtual chloroformed specimen, the app comes with all the dissection tools and detailed instructions to complete the procedure. Once dissection is complete, the frog’s organs are exposed for further study. 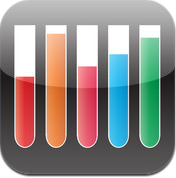 Harnessing the simplicity found in physical laboratory timers, iLab brings accurate, simple, and easy timing to the iPad. Up to 10 independent timers can be set, timing simultaneously, and customised to your timing needs. iLab is perfect not only for laboratory timing needs, but has also a variety of other uses such as timing practice for speeches, timing tests, and exercise programs... your imagination is the limit! 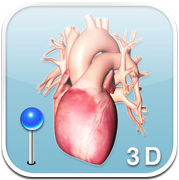 Pocket Heart on the iPad is a novel way to visualize, hear and understand how the human heart works, in 3D! Whether you’re a human biology student needing to learn, understand and memorize all of the anatomical features and functions of the heart, or a health care professional looking for a novel way of communicating a diagnosis or procedure to a patient, colleague or trainee, Pocket Heart’s unique 3D interface can facilitate this. Design your own molecules and watch them self-assemble into complex two-dimensional structures. 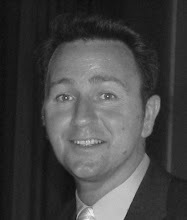 The idea is to provide a simple and direct tool for nonscientist to experience first hand the beautiful world of physical chemistry. Figure out how to form interesting structures by manipulating the shape of the molecules, the concentration of the solution, and its temperature. The user can post his/her structures online in a flickr. 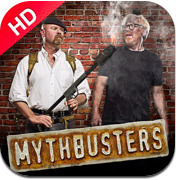 The MythBusters App for iPad is an engaging experience developed specifically for iPad. You will never think about TV the same way again! Watch the most popular MythBusters video clips and compete against other fans by busting 3 popular myths through multilevel casual games. Stay in touch with the latest MythBusters news and announcements and share your thoughts with the community through Facebook and Twitter feeds. 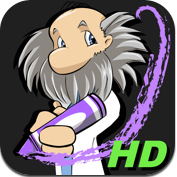 Touch Physics is a collection of hand drawn levels devised by the professor in his lab. They are as progressively challenging. Can you defy the laws of physics and control the wheel's destiny in order to complete all 89 levels? You can even change the laws of physics to suit your gameplay! Draw shapes that interact with the wheel, causing it to move according to physical laws. 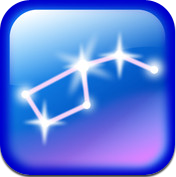 When it reaches the star, the level is complete. 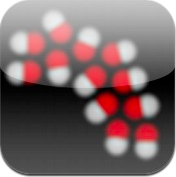 I've used molecules and touch physics.They are worth a student. Great information about apps touch physics,ilab tuners,pocket heart are just Amazing.and definitely worth for everyone. Awesome! 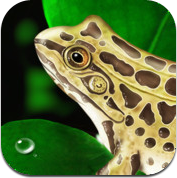 I am excited to let students who finish early try the Frog Dissection.